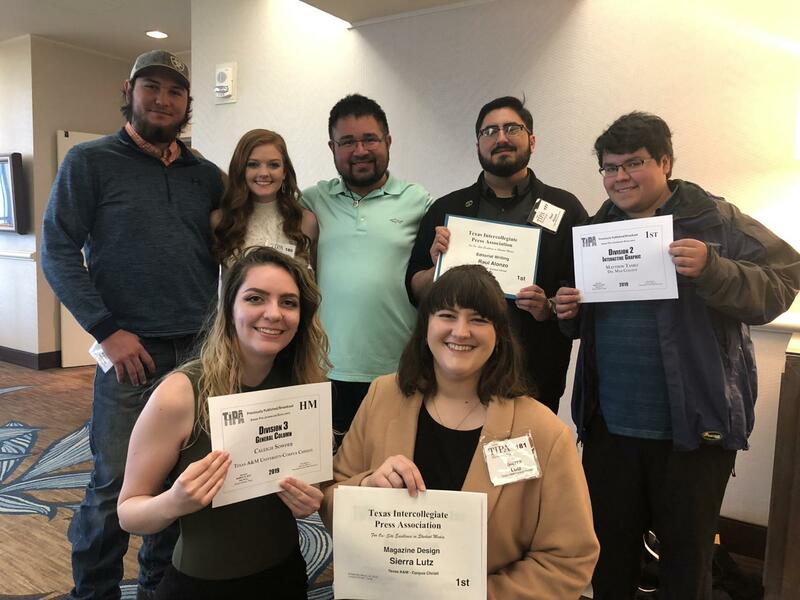 Several Island Waves’ student journalists were recently recognized for outstanding work at the Texas Intercollegiate Press Association (TIPA) Convention, held March 13–16 at the Omni Bayfront. 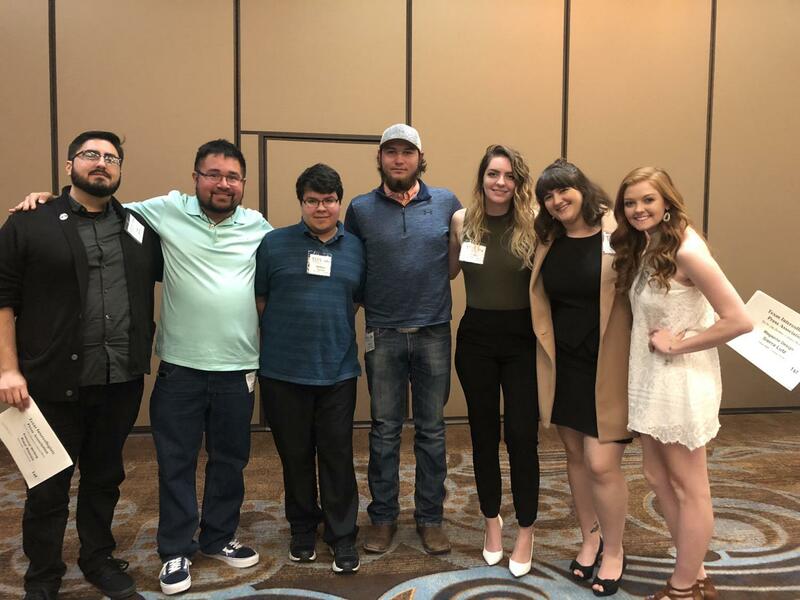 More than 270 student journalists from schools all across the state attended the convention, where they went to workshops led by industry professionals and experts, as well as competed in on-site news gathering and design contests. Students were also recognized for previously published works from 2018. Island Waves Editor-in-Chief Sierra Lutz, a junior Graphic Design major, won 1st place for Magazine Design, and reporter Raul Alonzo Jr., Communications & Media junior, won 1st place for Editorial Writing during the on-site contests. More than 50 schools competed in various categories for work previously published or broadcast in 2018. Lutz won both 1st and 3rd place for Static Ad Design, and 1st place for Photo Illustration in Division 3. Copy Editor Caleigh Sowder, a junior English major, was awarded Honorable Mention for her column, “Why it’s not a scary time for men.” Communications & Media senior Jessie Monsivais won Honorable Mention for In-Depth Reporting for her environmental series that highlighted efforts on campus to further encourage recycling, and Honorable Mention in the Sports Game Story Division 3 category for her coverage of the Youth Sailing World Championship, which was held in Corpus Christi in June of last year. Finally, Island Waves reporter Matthew Tamez, junior Communication & Media major, won 1st place for an Interactive Graphic that he created for The Foghorn while attending Del Mar College.